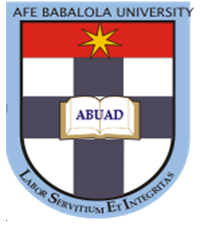 Afe Babalola University, Ado-Ekiti (ABUAD) Undergraduate [Post-UTME and Direct Entry] Admission Form, Courses, Admission Requirements, Duration, Application Guidelines, Screening Dates and Time for 2019/2020 Academic Session. The Management of the Afe Babalola University, Ado-Ekiti (ABUAD) invites application from suitably qualified candidates to its various undergraduate programmes admission for the 2019/2020 academic session. Result of 2019 in Unified Tertiary Matriculations Examination (UTME). Direct Entry/Inter University Transfer Requirements. Applicants are to pay the sum of N2,000 into any of the designated Banks and obtain the application form at any of the designated selling points. . Candidates who chose ABUAD in the Unified Tertiary Matriculation Examination (UTME) are to pay the sum of N2,000 online. Candidates who did not choose Afe Babalola University (ABUAD) in the Unified Tertiary Matriculation Examination (UTME) are also qualified to participate in the Post UTME screening of the University by paying the Sum of N2,500 for change of Institution and N2,000 for the Post UTME Form into any of the under-listed banks:. Candidates awaiting SSCE results or its equivalent can also apply for admission provided the result will be available at resumption in August, 2019. Click on http://admissions.abuad.edu.ng, then click on your admission category to make online payment and fill the online form immediately. This can be done on a mobile phone with internet access or with a computer. Please note, online application will attract an additional transaction charge of N300 only. After making payment online, you must proceed by completing the online form, after which you must print out the Screening Form and Application Form which are to be presented at the screening centre. There shall be No written examination.